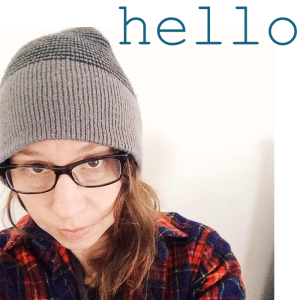 I only discovered Kelli’s blog, true bias, a little while ago, but once I did I was hooked. She sews beautiful garments for herself–we’re talking handmade blazers here, people. 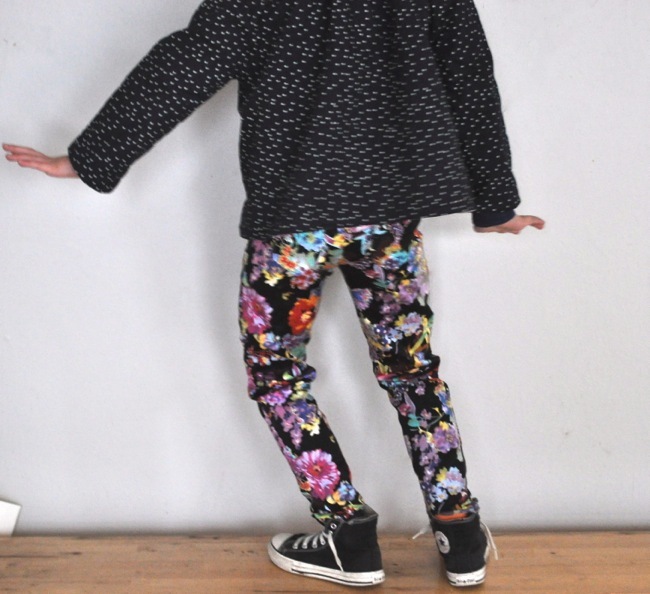 But every so often some beautiful little clothes she made for her daughter would pop up on her blog. So I asked if she would be interested in kcwc. Lucky for us she said yes. I mean just look at what she did with a tee shirt pattern! I was really excited to be part of kcwc this year. I am a bit of a selfish seamstress and love sewing for myself, so it’s good when I get a bit of an extra push to sew for my daughter. I just got my first serger about a week ago so sewing up some knits with Rae’s Flashback Skinny Tee pattern was a perfect way to break it in. 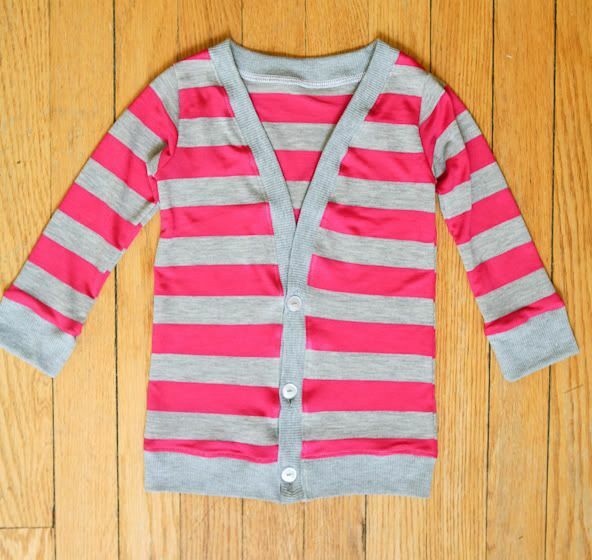 I used the skinny tee pattern to make two boyfriend cardigans for my 2 year old daughter. It was a really easy conversion. I lengthened the front and back pieces by about an inch. Otherwise the back and sleeves were left exactly the same. I then cut the center front of the front piece and cut out a deep v at the neckline. I added a 2 inch wide band to the bottom of the cardigan and a 1 inch band all the way from the hem, around the neckline, and back down again to the hem. 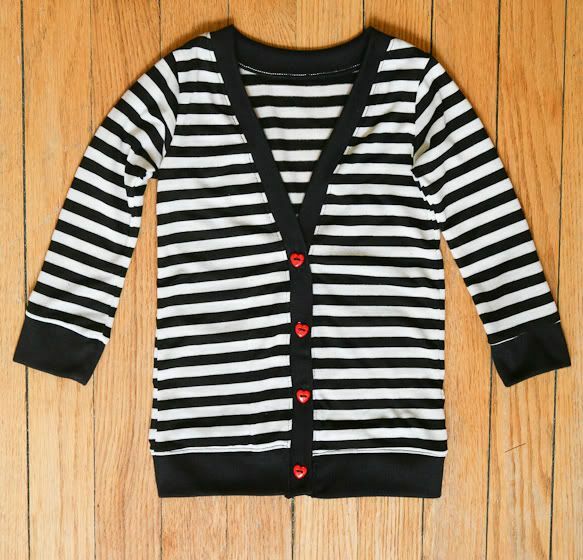 I added a few button holes and cute buttons, a little edge stitching and there you have it, a boyfriend cardigan to get us through chilly spring days. edit to add- I asked Kristin how she sewed buttonholes on knit fabric without it turning out a disaster (like when I do it). Here’s what she said: I found that if I put a bit of interfacing on the backside the buttonhole went much better. Then you can just cut around the buttonhole to get rid of the excess. I hope you will try some too. It took me about 4 hours start to finish to make both of them on my serger. I am super happy with the outcome. Can’t wait to be inspired by all of you next week. I will be sewing along as well. Posted April 20th, 2012 in kcwc spring 2012, kids clothes week challenge. Tagged: buttons, cardigan, flashback tee, guest post, kcwc, kelli, knits, sewing, skinny tee, stripes, true bias. This bag is truly awesome. It’s a messenger bag, a shoulder bag, a completely reversible bag…it’s so many different bags in one you have to make one just so you can discover how awesome it really is. And you can! 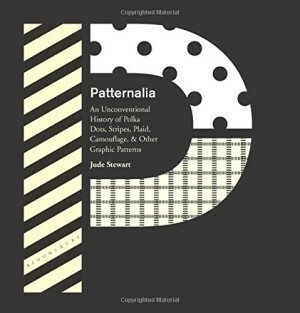 Because I wrote an awesome pattern for it. Shannon from luvinthemommyhood is encouraging the sewers and the knitters to duke it out finally and see who is left standing. So this is my little one-two for the sewing side. No, it’s not foxy boxing, but it is one month full of super fantastic knitting and sewing tutorials with some friendly competition thrown in for good measure. Sounds awesome, right? Head over to her blog for The Awesome Bag tutorial! Once more for no good reason: awesome. Posted April 11th, 2011 in tutorials. Tagged: awesome, bag, buttons, pattern, tutorial.